The coulomb (symbol: C) is the International System of Units (SI) unit of electric charge.It is the charge (symbol: Q or q) transported by a constant current of one ampere in one second:1C=1A•1s. A Coulomb Counter is a device to measure the current that your devices or sensors is using. 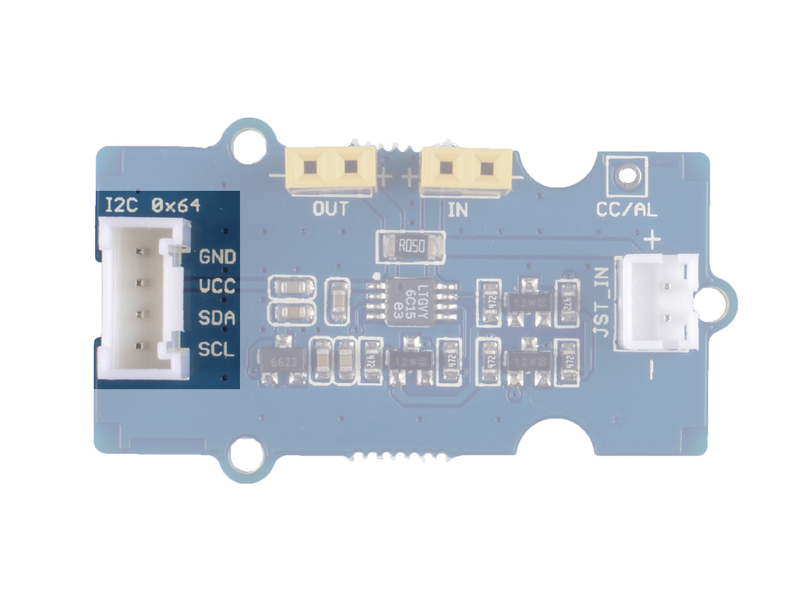 The Grove - Coulomb Counter 3.3V to 5V (LTC2941) is based on LTC2941, its operating range is perfectly suited for single-cell Li-Ion batteries. 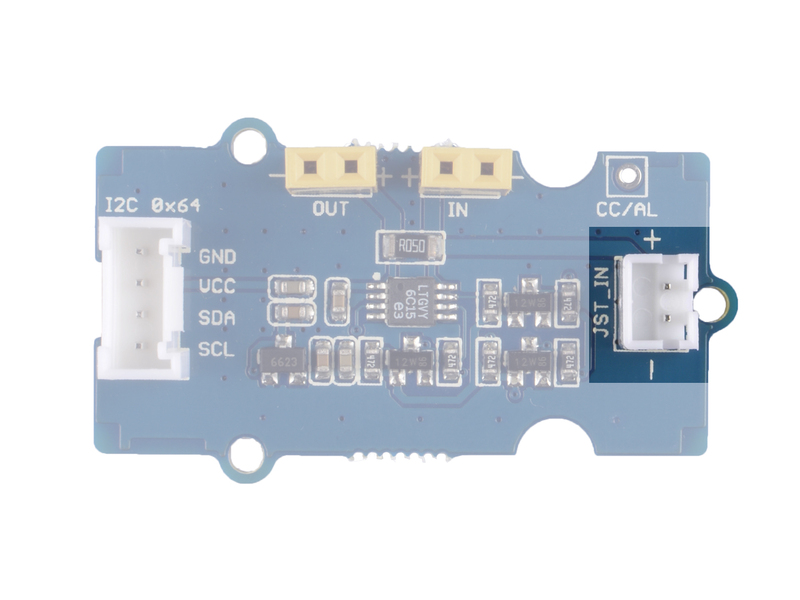 A precision coulomb counter integrates current through a sense resistor between the battery’s positive terminal and the load or charger. 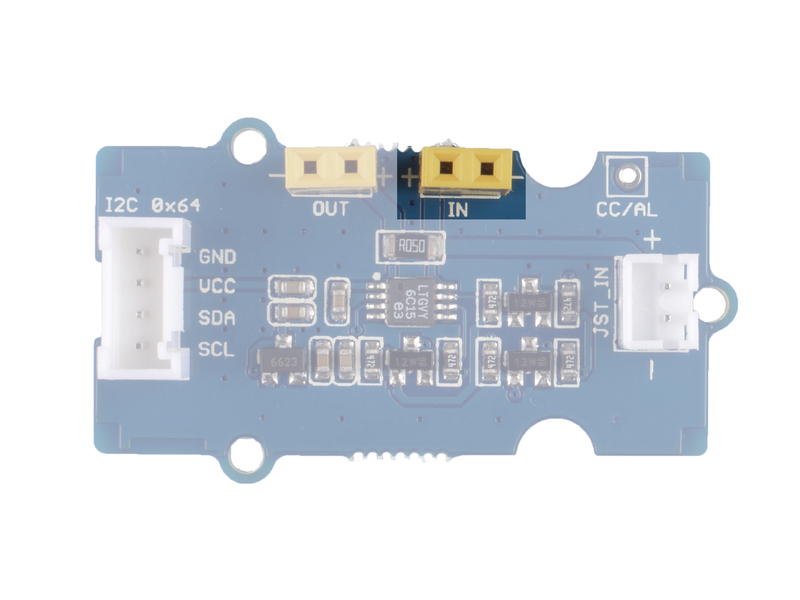 This module measures the amount of amp-hours have been used, if you use a fully charged battery, you can test the amount of battery you have used, the remaining percentage, just like the remaining battery shown in your phone. 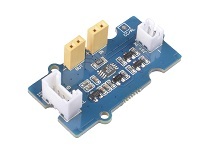 Vice versa, if you are changring a battery, you can use this module to monitor the charging process. 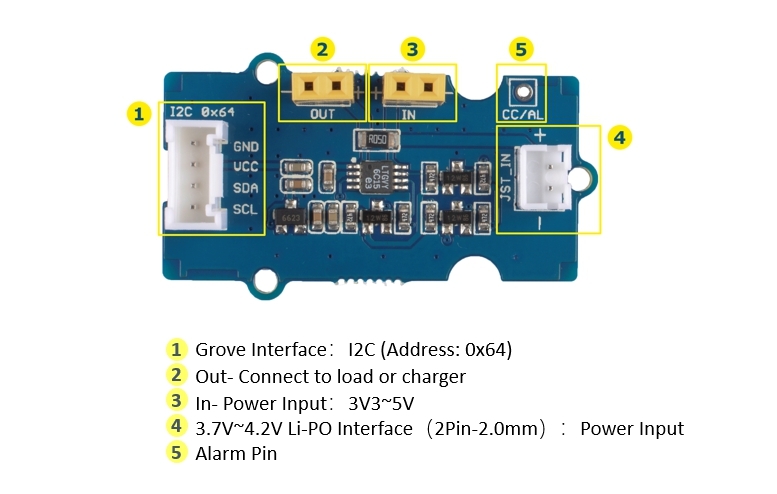 Both 3 and 4 are power input interfaces, please selecte one as the power input, do not use two at the same time, and the voltage can not exceed 5V, otherwise the module may be damaged. 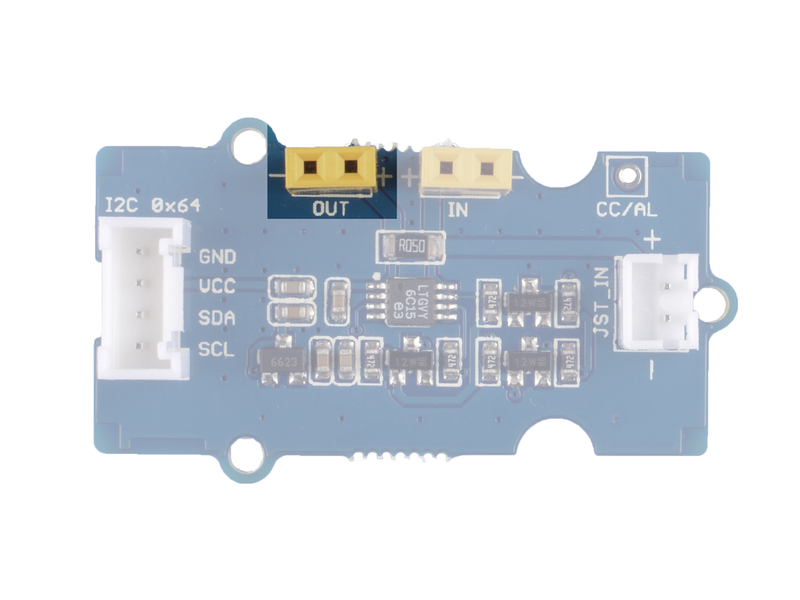 VCC: Power pin, connect to the 5V or 3.3V, power supply for this module. Power output, connect to the load or the charger. 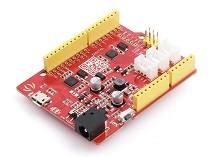 Do not connect directly to inductive loads, such as motors or servos, or the chip may be damaged due to ripple caused by inductive loads. 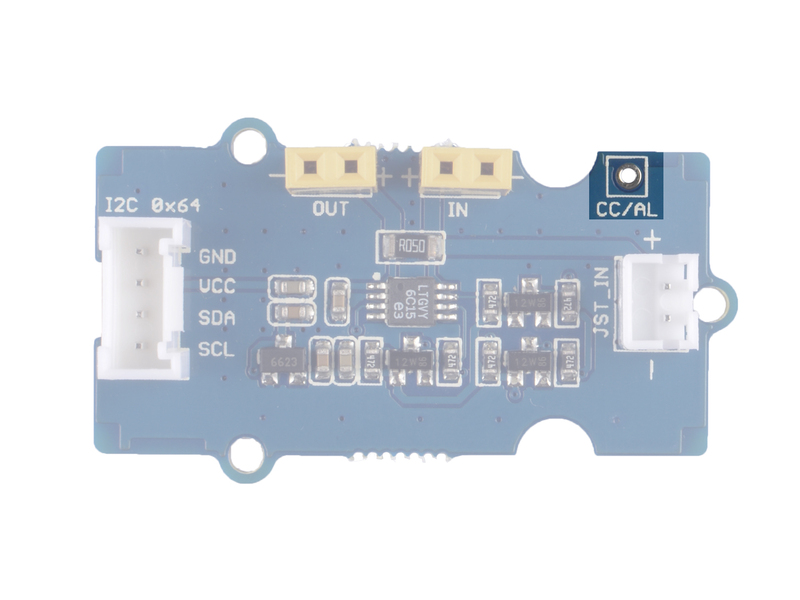 Connect to the AL/CC pin of LTC2941, alert output or charge complete input. The LTC2941 do support alert function, and we reserved the relevant hardware pins for you, however the software we provide do not support this function. So, you need to work with the software part yourself if you need this part. Step 1. Plug the load or charger into the port OUT. Step 2. Plug the battery into the JST port or plug other power source into port IN. Step 3. 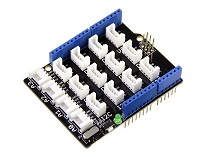 Plug the Grove - Coulomb Counter 3.3V to 5V (LTC2941) to port I2C of Grove-Base Shield. Step 1. Download the Seeed_LTC2941 Library from Github. 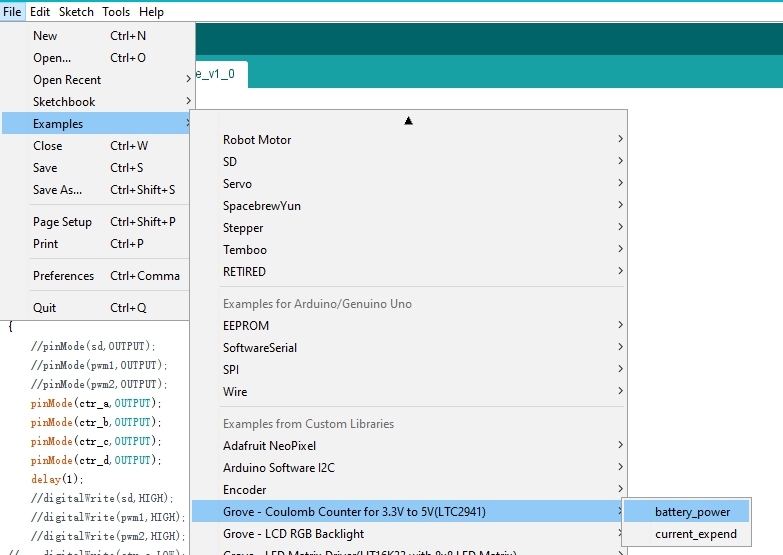 Open it directly in the Arduino IDE via the path: File → Examples → Grove - Coulomb Counter for 3.3V to 5V(LTC2941) → battery_power. battery_power: This demo will show you the electric charge data in the unit C and mAh, 1mAh=3.6C, as well as the remaining battery in percentage. current_expend: This demo will show you how much power you are consuming. 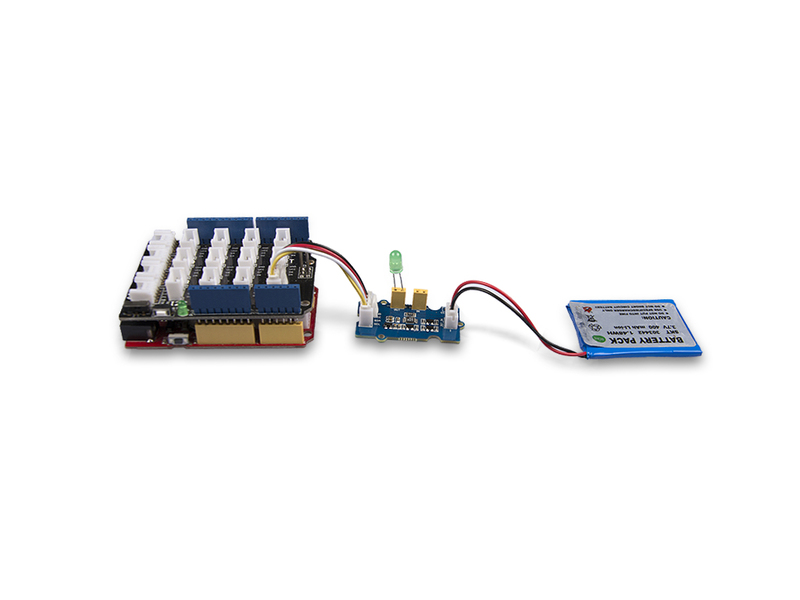 Open it in your computer by click the battery_power.ino which you can find in the folder XXXX\Arduino\libraries\Seeed_LTC2941-master\examples\battery_power, XXXX is the location you installed the Arduino IDE.